But let’s talk about wrong notes as in “that note is not in the scale” sort of wrong notes. Those are the really fun ones. My current songwriting student, a wonderful composer/songwriter, Robert Intriligator turned me on to the phrase “The Rodgers patented wrong note,” which was coined by Deems Taylor, a biographer of Rodgers and Hammerstein. Richard Rodgers was arguably one of the greatest popular composers of all time. His body of work is vast and in a huge variety of styles. But there is a characteristic he became so known for, they coined a phrase for it. I asked Robert Intriligator to find a bunch of examples for me, and I went to the piano and noticed that these are some of my favorite places in his music. For example in “Something Good” from “The Sound of Music” that raised fourth on the word “childhood” is what we wait for. In “No Other Love” (from “Me and Juliet”) he uses a raised 2nd on the word “you” in the phrase “only my love for you.” In “Oh, What a Beautiful Mornin' ” the “morn” of “mornin'” is on a flat seventh of the scale or raised sixth, depending upon your viewpoint. In looking over most of his “wrong note” examples, though, Robert concluded that most of them are a raised second or fourth. This is certainly true of acting, but it’s also true of writing. The truth will hold up a mirror to the listener. This idea may be hard to sell in a business and a world that is rampantly narcissistic, but maybe it will appeal to people’s ambition. It simply works. When you’re writing a song about yourself which is no doubt infinitely interesting to you, look for the pictures in the lyric that will draw the listeners into the story and help them see their own lives. And look for the universality of the truth. And I don’t mean vagueness. Some writers try to be general and not specific because they think more people will relate to it. That never works, unless it’s a special piece for a film where it can’t be specific. But if you start singing vague generalities in a show or an open mic, watch the audience start talking among themselves. 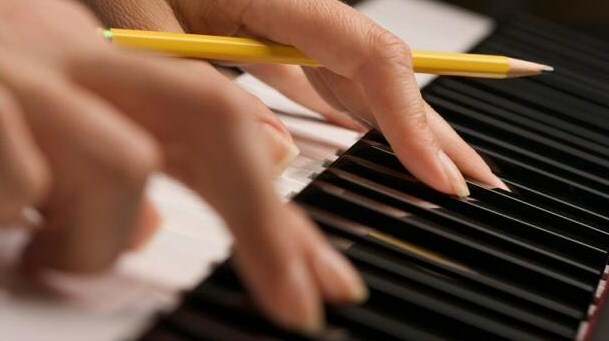 Make sure the melody also communicates the message in a compelling way. See if it makes your own hair stand on end and play it for friends and strangers before you demo it to see if it does the same to others. I have a chapter in my book called “Truth vs. Fact in Songwriting.” We should feel free to change the facts to tell the truth. That’s one of the best things about being a songwriter. We can change ALL the facts. And we’ve probably tried to change the truth a few times too. But that simply doesn’t work as well… not if it’s a real truth we’ve got in our sights. I’ve come to the conclusion that excellent creative work on a subject people are not interested in can go pretty much unnoticed whereas bad work on a subject people ARE interested in can become quite well known. Just go to the movies sometime. But back to songwriting, that’s why there are so many songs (spanning the whole spectrum between excellent and mediocre) about people falling in love or people nursing a heartache. But if you want to write a song about an interesting character like “Mr. Bojangles” or “Fancy,” you had better put the listener at the movies, filling the lyric with visuals. “Try,” written by Colbie Caillat, Babyface and Jason Reeves, pulls off the difficult task of attempting to change behavior. But it does so with a lot of visuals, a universal theme, a melody with more hooks than a tackle box and a light touch on the preaching. (The video didn’t hurt either.) So if you want to write something about a subject that isn’t going to attract only teenagers in love or broken-hearted drunk people, then you’re going to have to try harder. You’re going to need to put some extra craft into it, some visuals that draw the listener into their own lives. Give them some indisputable truth that will give the listener an “aha!” moment, because even though you may be the one up there singing and their eyes are on you, it’s themselves they’re thinking of. It’s their lives they’re trying to understand better. And aren’t we lucky that we get to help them do that? 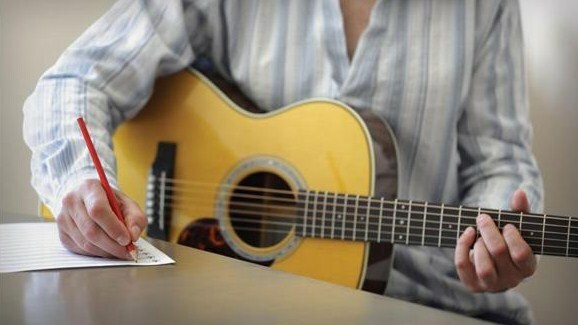 Songwriters can’t escape writing a love song at one time or another. But there’s one problem I see over and over in this type of song. 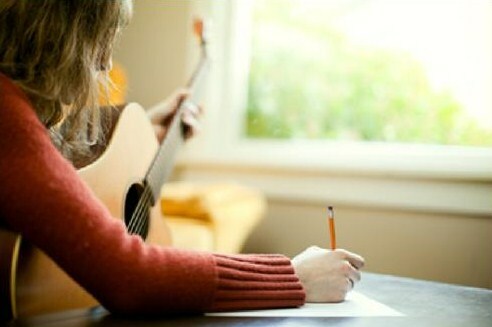 In life, as in songwriting, it’s better to be interested than interesting. If you’re interested in someone, that person will find you infinitely fascinating. If you’re trying to be fascinating, he/she will rarely even be interested. Similarly, in songwriting, if you try to dazzle the person you’re talking to in the song, or the listener, with your own wonderfulness, you may have the audience talking among themselves. Consider the song “I Love the Way You Love Me” by John Michael Montgomery. Yes, he talks how her eyes roll when he sings off key but most of it is simply about her. He likes the way her eyes dance when she laughs and the innocent way she cries at sappy old movies she’s seen hundreds of times….how she enjoys a 2-hour bath. We get a picture of the girl he’s singing to, which gives us a better idea of how he feels than if he was just trying to dazzle us with how much better off HE is with her. Sometimes a songwriter will show me a love song written to someone and there isn’t one single thing in it about the beloved except, perhaps, how the beloved makes the singer feel. We can’t see the person he/she is singing about and we know nothing about that person. This is so true that maybe it can be used in defense of the songwriter who fails to describe the beloved. It’s possible he doesn’t really see her at all. She is merely a catalyst. But unlike what we learned in chemistry class, the catalyst rarely emerges unchanged. So we might as well write about her in a way that will seem like it’s actually the beloved whom he loves and not just a place for the stored-up love to land.